The Council of Europe has announced that Youssef Himmat, likely the son of German Muslim Brotherhood leader Ghaleb Ali Himmat, has been selected by the Secretary General of the Council Of Europe (COE) to serve for 2014-2-15 as member of the Council’s Advisory Council on Youth. According to the COE website, the Advisory Council is made up of 30 representatives from youth NGOs and networks who provide opinions and input on all youth sector activities. 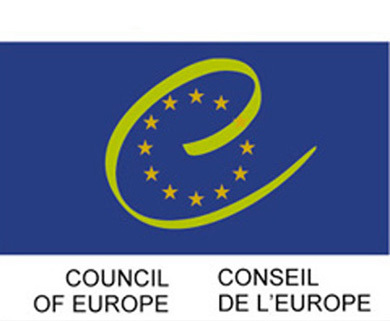 The COE, in turn, describes it self as “the continent’s leading human rights organisation” which includes 47 member states, 28 of which are members of the European Union. In August 2013, the GMBDW reported that the Federation of Muslim Youth and Student Organizations (FEMYSO) had announced the election of Youssef Himmat as a member of its Executive Committee. Other individuals of interest also elected at the same time included Hajar Al Kaddo, the daughter of Irish Muslim Brotherhood leader Nooh Al Kaddo, and Intissar Kherigi, the daughter of Tunisian Muslim Brotherhood leader Rachid Ghannouchi, who was elected as the FEMYSO President. Youssef Himmat is likely the son of Ghaleb Ali Himmat, an important figure in the founding of the German Muslim Brotherhood and the longtime business partner of Muslim Brotherhood leader Youssef Nada who has claimed to be the acting “foreign minister” for the Brotherhood. Both Himnmat and Nada were founders and majority shareholders of the notorious Al-Taqwa Bank, formerly located “offshore” in the Bahamas. Numerous Muslim Brotherhood luminaries held shares in the bank, including the bank’s Sharia supervisor Global Muslim Brotherhood leader Youssef Qaradawi and his family, which was supposed to conduct business in accord with Islamic principles. The bank was closed in 2000 after what Nada said were unforeseen developments related to the Asian financial crisis and a run on the bank caused by unfavorable publicity generated by accusations that the bank was funding Hamas. No documentation of the bank’s activities has ever been produced and Nada has refused to hand over the bank records which he said were moved to Saudi Arabia. In 2010, the UN dropped anti-terrorist sanctions against Mr. Nada and other sanctions and restrictions Mr. Nada and Mr. Himmat by Switzerland were also removed. It should be noted that, as reported by we the COE appeared to play an important role in having the sanctions removed. Both men, along with the Al Taqwa Bank and related businesses, remain designated as terrorist entities by the US government.